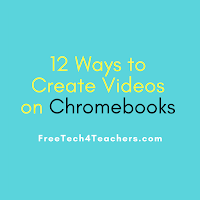 It seems like every month there is a new tool for creating videos on Chromebooks. 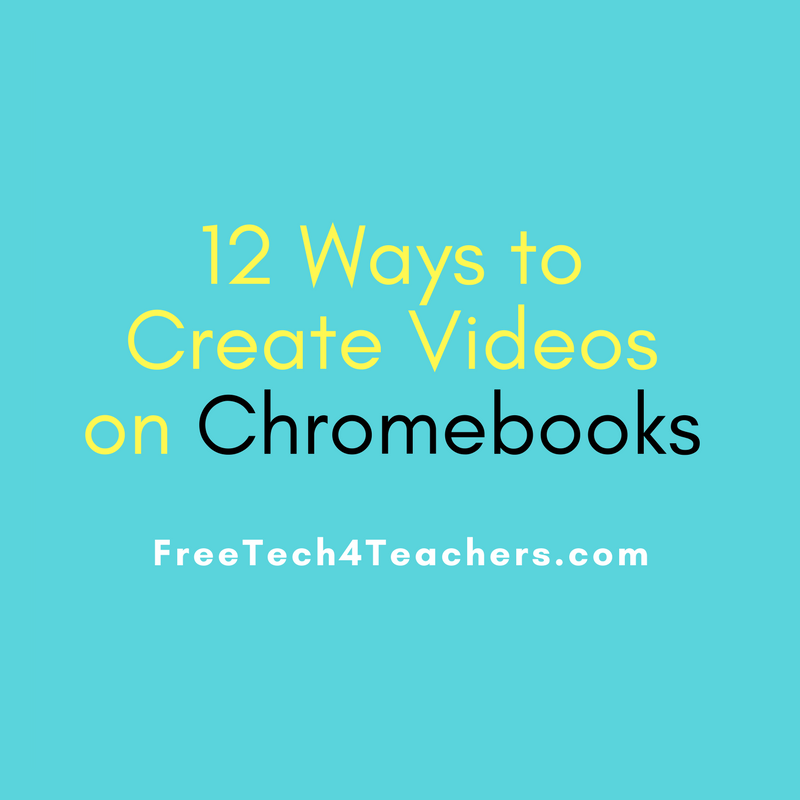 In the two months since I published my last post about making videos on Chromebooks, two more good options have presented themselves. Of course, creating a good video requires more than just picking the right tool for the job. You will also want to have a plan for producing the video. That's where a planning template like this one is helpful. Come to the Practical Ed Tech Chromebook Camp to learn how to best use these tools in your classroom. Know Lounge is a complementary service to the Know Recorder apps for Android tablets and iPads. Know Lounge lets you create an online room in which you can host tutoring sessions and record videos. In the video embedded below I demonstrate how to use Know Lounge as teacher. If you have a Chromebook that supports the use of Android apps, your students can create animated videos with Toontastic 3D. Students can pick from a variety of story setting templates or they can create their own within Toontastic 3D. Once they have established a background setting students then select cartoon characters to use in their stories. Students can choose from a wide array of customizable cartoon characters or they can create their own from scratch. Once characters are placed into the story scenes students can begin recording themselves talking while moving the characters around in each scene. Students can swap characters between scenes, change the appearance of characters between scenes, and move characters from one scene to the next. Watch my tutorial below to learn how to use Toontastic 3D.